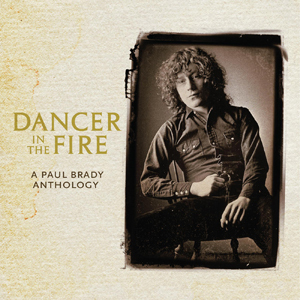 With a career spanning five decades, Paul Brady, singer, songwriter and multi-instrumentalist is one of contemporary music’s most enduringly popular artists. 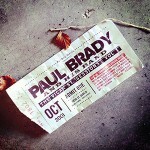 Brady first came to attention as a teenager at college in the mid ‘60s, in a series of classic Dublin rock/soul bands. The world-wide folk boom of the time produced seminal groups like The Clancy Brothers, The Dubliners, Clannad and The Johnstons, with Paul soon joining the latter. He recorded seven albums with the Johnstons and moved to London then the USA, returning to Dublin in 1974 to join premier Irish folk band Planxty. 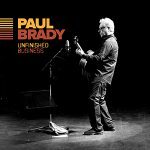 Following the band’s demise, Paul played as a duo with fellow member Andy Irvine; their “Andy Irvine and Paul Brady” album still considered one of the greatest of the genre as evidenced by the sold out 40th anniversary tour Paul and Andy completed in May 2017. 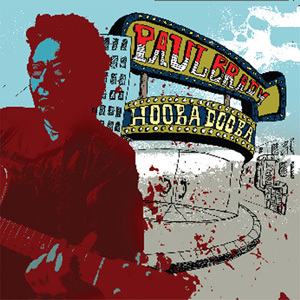 After acclaimed solo album “Welcome Here Kind Stranger” (1978), voted Folk Album of the Year by Melody Maker, Paul surprised most observers with “Hard Station” in 1981. All his own songs, the album reflected personal changes amid a highly original combination of rock, blues, soul and pop and became a classic of modern Irish music. His work soon came to international attention and other artists began to cover his songs: Tina Turner, Santana, Bonnie Raitt, Carole King, Art Garfunkel, Cher, Cliff Richard, Phil Collins, Joe Cocker and Eric Clapton, to name but a few. Throughout the 80s and 90s Paul toured widely with his band in USA, UK, Ireland and continental Europe. Many highlights included European tours with Eric Clapton and Dire Straits. The albums ‘True For You’ (1983), ‘Back To The Centre’ (1985), Primitive Dance (1987), ‘Trick Or Treat’ (1990) and ‘Spirits Colliding’ (1995) further cemented his reputation as a songwriter and dynamic performer. Celebrated by Ireland’s RTE Television with a six-part series ‘The Paul Brady Songbook’ (2002), with Lifetime Achievement awards from The Irish Recorded Music Association (1999) and BBC Radio 2 ‘Folk on 2’ (2006), inducted into the British Composers and Songwriters Academy (2004), IMRO (Ireland’s Performing Right Society) Songwriters Academy (2013), and honoured by the President of Ireland with a Lifetime Achievement Award in 2015, Paul Brady is not only part of the cultural fabric of Ireland but a beacon to songwriters the world over. Admired by his peers, recent double live album, ‘The Vicar Street Sessions’ featured duets with Van Morrison, Mark Knopfler, Bonnie Raitt, Sinead O’Connor, Ronan Keating, Curtis Stigers, Gavin Friday, Mary Black, Moya Brennan, Maura O’Connell and Eleanor McEvoy. His latest album ‘Unfinished Business’ features nine new compositions and two traditional folk songs and mirrors the eclecticism of his long and varied musical journey.